Featuring iconic classics, vintage muscle cars, customized street rods, a life-sized LEGO Bugatti Chiron and the largest esports feature ever staged at the Canadian International AutoShow, Castrol Alley is promising a diverse automotive experience. Long a fan favourite at the AutoShow, Castrol Alley — the 700 level of the South Building at the Metro Toronto Convention Centre — is annually one of the most interesting exhibit areas of the AutoShow, hosting a mix of recurring installations and exciting new displays. Art & the Automobile — Consistently one of the most popular elements of the AutoShow, this year’s Art & the Automobile, presented in partnership with Cobble Beach Concours d’Elegance, and supported by Hagerty Insurance, will be entitled ICONS, celebrating some of the most iconic people, events and marques of the 20th century — as viewed through an automotive lens. L.A. Car Culture — A showcase of some of the most unique vehicles from the world-renowned Peterson Automotive Museum in Los Angeles, L.A. Car Culture will exhibit six vehicles — celebrity cars, lowriders, hot rods and custom creations from the streets of Southern California. 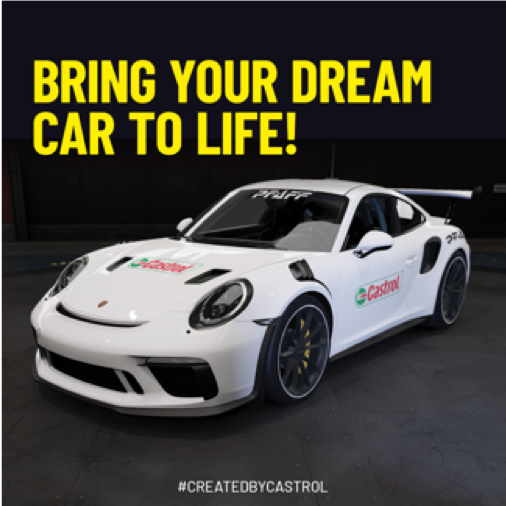 WorldGaming Network Pfaff Forza 7 Canadian Challenge, driven by Castrol — Canada’s most ambitious esports racing competition is at the Canadian International AutoShow, in partnership with the WorldGaming Network (WGN). With $20,000 in cash and prizes and a once-in-a-lifetime chance to race with Pfaff Motorsports on the line — not to mention bragging rights — the WorldGaming Network Pfaff Forza 7 Canadian Challenge, driven by Castrol, puts you in the driver’s seat. Custom Car Battlegrounds: AutoShow Edition — For the second year in a row, Performance Auto & Sound Magazine (PASMAG) is celebrating custom creations with Custom Car Battlegrounds: AutoShow Edition. A competition for modern muscle car, hot rod and lowrider enthusiasts, it puts fans in control of the eventual winner. LEGO® Group’s ‘I Love Vehicles’ Experience — In addition to a LEGO® vehicle showcase, play zone and retail space, this installation will host the life-size LEGO® Technic Bugatti Chiron. Built with more than one million LEGO® bricks and powered exclusively using motors from the LEGO® Power Function platform, the model is a fully equipped true replica of the Chiron, including rear spoiler, speedometer, front and back-lights, detachable steering wheel and a brake pedal, all fully functional. Trillium Automobile Dealers’ Association — Besides hosting Cars and Jobs, an information booth on the diverse jobs in the automotive field, TADA is also presenting AutoLife, an online engagement platform with a focus on automotive lifestyles. Castrol Alley is full of exciting displays and fun activities for auto enthusiasts and families alike. As the longest-serving title sponsors of the AutoShow, Castrol is also a proud supporter of Auto Exotica.